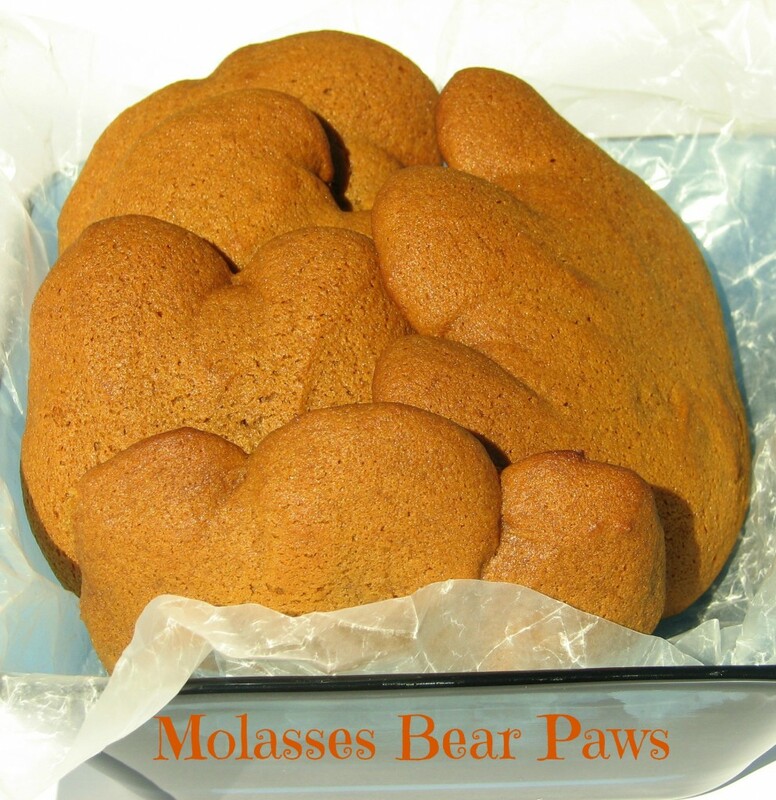 My kids love Molasses Bear Paws. Whether it’s at home or in their lunches, bear paws make the perfect snack. It’s easy to make, and the kids really like to help. Doesn’t always look like a bear paw when they’re done, but it’s still delicious! 1- Preheat your oven to 375 F.
2- Beat the butter and sugar until smooth. 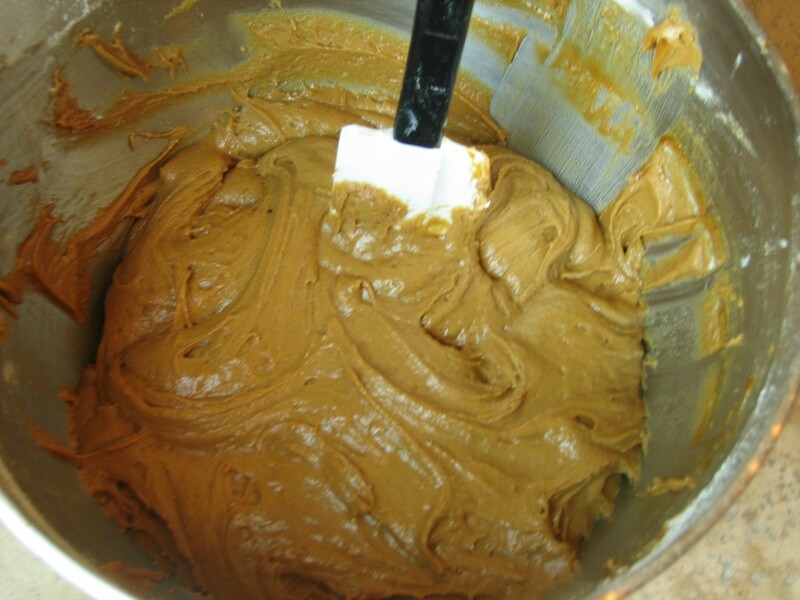 3- Add the molasses, corn syrup and egg and mix well. 4- In another bowl, mix together the flour, ginger, cinnamon, salt and ground clove. 5- In a small bowl, mix the warm water and baking soda. 6- Poor the baking soda and water mixture into the butter, sugar mixture. Mix. 7- Add the flour mixture, and mix well. 8- Line a baking sheet with parchment paper. 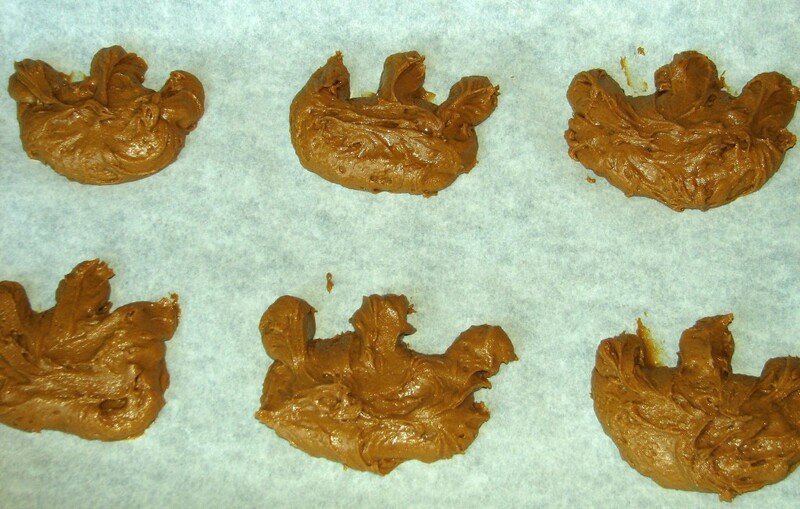 9- With a spoon, make bear paw shapes with the cookie dough on the baking sheet. Use your fingers to help make the shapes. 10- Cook for 8-10 minutes. Makes 18 large bear paws. 9- With a spoon, make bear paw shapes with the cookie dough on the baking sheet. Use your fingers to help make the shape. I have never heard of these before, but when I saw the title I absolutely had to click. 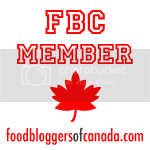 (Found your blog via “Wonderful Wednesday Blog Hop” on Recipes for our Daily Bread.). Going to go pin this right now. p.s. 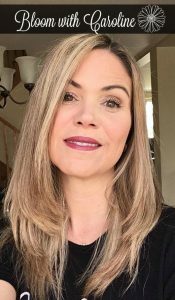 Also going to check out your Pinterest page…though I don’t know if I’ll actually “stalk you.” (haha- really like that on your sidebar). Thank you so much Jenny. Those molasses bear paws are to die for! Really, you must try them, especially if you have young kids.